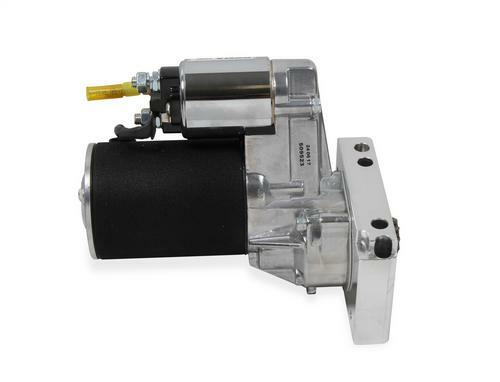 Heavy Duty High Temp Solenoid For 12/16 Volt Sys. 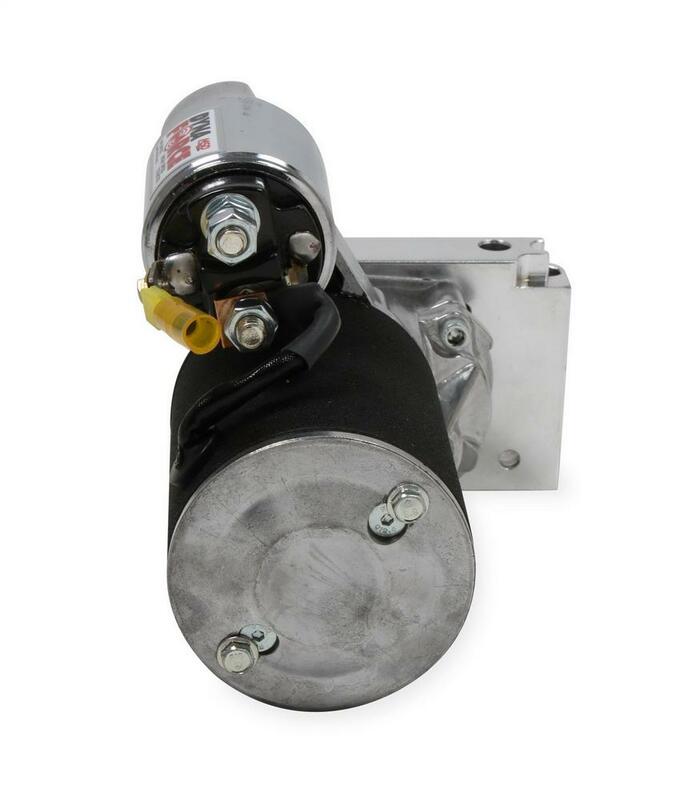 If you have a blown alcohol engine, an engine that uses a magneto, or any application that requires a faster than normal cranking speed to fire, the MSD High Speed DynaForce Starter is your answer. 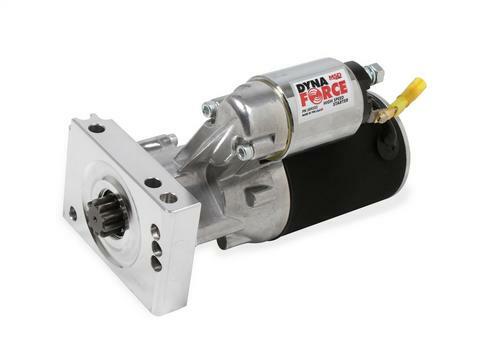 Providing up to 25% faster cranking speeds, the High Speed DynaForce Starter is designed for race engines that require higher cranking speed. Installation versatility comes by way of a billet machined adjustable mounting block and the ability to hook up to both 12 and 16 Volt electrical systems. 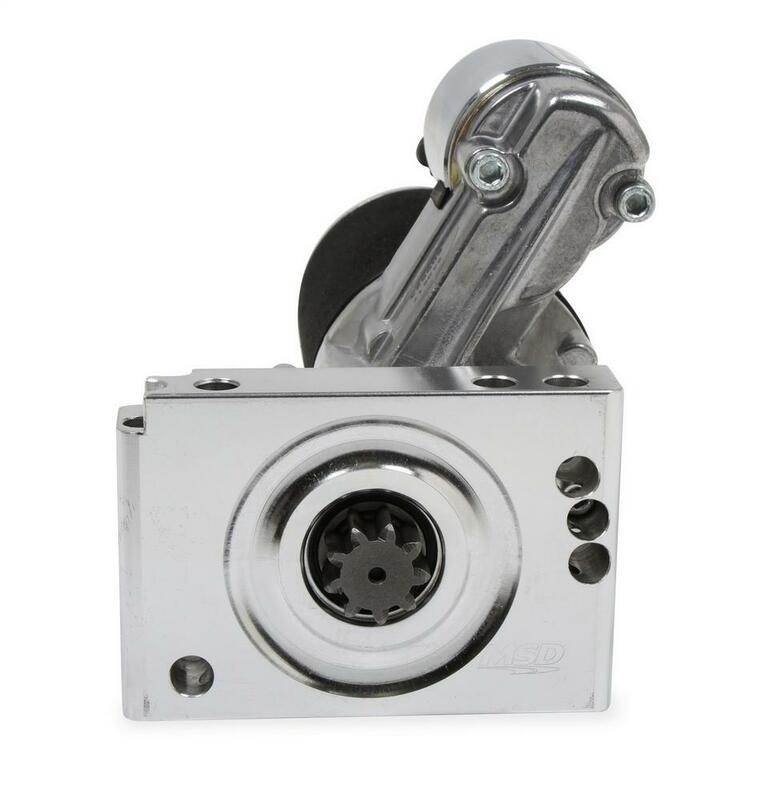 The extreme durability built into these starters ensures they can handle the teams that use them.